Want a Christmas party to remember? Well you might just consider a visit to a nineteenth century asylum. There's nothing mad about holding a Christmas ball in an asylum, as pointed out in the article below. Indeed, the carers charged with the "painful and laborious" task of caring for the mentally infirm deserved to enjoy a festive celebration in return for their good work administering "gentle and soothing remedies". Remedies such as sleeping naked on straw, taped to a bed and having one's jacket taken away as you slept in the cold 'because it was too smart'. Sure enough, it doesn't take long to track down a trail of mistreatment hearings being investigated around the same time, when religious enlightenment had apparently disposed of the gags, whips and other older instruments of cruelty. And this isn't just a modern world perspective making the remedies seem archaic. If a mid-nineteenth century newspaper points out that the treatment of asylum inmates is wrong, there's sure to be something off. The positive effect of festive decorations on the mood of inmates wasn't underestimated. 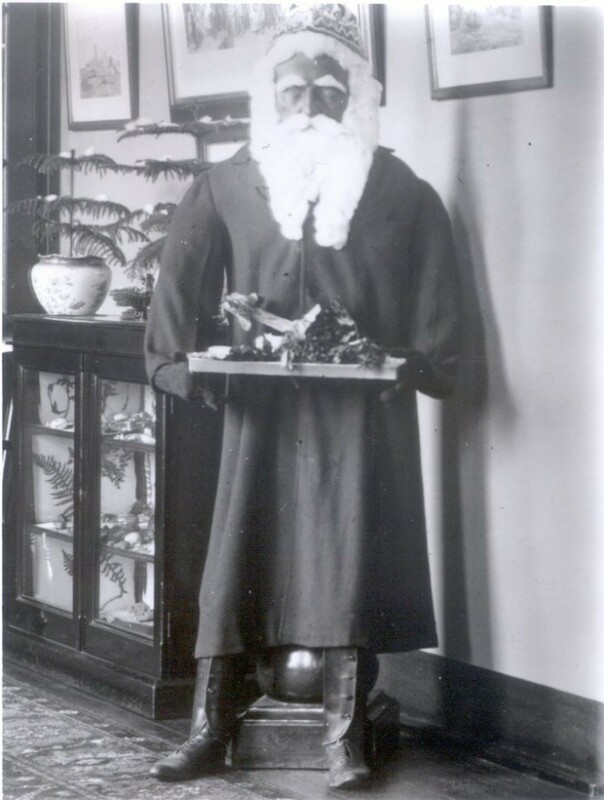 Bethlem had a Christmas tree every year except 1895, when the employees charged with decorating it were ill. Though the passing of gifts between staff and inmates was prohibited so as to avoid corruption, presents which had been donated were often given to both, and the inmates were treated to a Christmas dinner of roasted meats, plum pudding and mince pies. Music and dancing were a regular fixture at Bethlem, though none more raucous perhaps than the Christmas ball. Home-made wines (though made by whom it is not clear) and refreshments were handed around, while those inmates deemed well enough could be seen on the dance floor with members of staff. It seems it was often hard to tell the two apart, with both dressed in their best clothes as they danced the polka together. Madness runs deep in the veins of Bethlem, but not just in those of the inmates. Mr. Hudson, the asylum's receiver, was found to be embezzling funds, primarily from those received by the asylum over the Christmas period. On being discovered, Hudson made a break for it out the window. Despite this great escape, Hudson requested that the asylum grant him his pension, which they did, to the healthy sum of £2,000 a year, over £85,000 today. So it seems that Charles Dickens might have been right when he wrote in The Times in 1853 that "In strictness, we are all mad when we give way to passion, to prejudice, to vice, to vanity; but if all the passionate, prejudiced, vicious and vain people in this world are to be locked up as lunatics, who is to keep the key of the asylum?" A vocal spokesman for asylum inmate rehabilitation through "love" rather than punishment, Dickens gave carers of the mentally infirm one piece of advice we can all learn from: "if you can do a little in any good direction- do it. It will be much, some day."